Scott Thomas is the founding member of Ascension Wealth Advisors, LLC (AWA) and serves as company President. He has more than 20 years of experience as an Investment and Financial Advisor. Scott works directly with all of his firm’s clients – overseeing, coordinating and managing all aspects of the client relationship. Scott is responsible for strategic growth and day-to-day company operations. Scott holds primary responsibility for managing growth of Ascension and preserving the firm’s commitment to a fiduciary client-service model. Scott is a Qualified Kingdom Advisor (CKA), an organization of Christian financial advisors dedicated to Christian financial management services. Kingdom Advisors was founded to expand the understanding of Biblical financial principles and how to implement them in the lives those who want above all else to honor God with their resources. Prior to founding Ascension, Scott co-founded and served as Managing Partner of Benson and Thomas Wealth Management, LLC, a Brentwood, TN based, fee-only RIA. At BTWM, Scott worked with both individual and business clients as a primary and third party asset and wealth manager. Scott served primarily as Managing Partner and Wealth Manager for his clients as well as Director of Business Development and Director of Alternative and Private Fund Investments. Scott’s early experience includes work as an Investment Advisor and Financial Planner with a multi-national broker/dealer firm and a nationally recognized wire house broker/dealer. Scott has completed FINRA Series: 6, 7, 65, and 63. 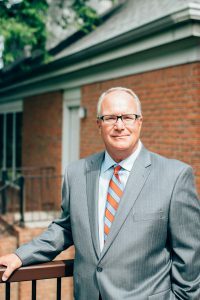 He also earned the Certificate of Financial Planning from Belmont University and holds the designation of Accredited Wealth Management Advisor™ (AWMA™) from the College of Financial Planning. Scott is also a Level One Chartered Alternative Investment Analyst, (CAIA™). Scott traveled abroad to South Africa where he studied Geological Engineering at the University of Witwatersrand in Johannesburg for two years. Upon returning home to the United States, he continued to pursue Geology and Finance at the University of Arkansas and later at the University of Tennessee in Knoxville. Scott is well-known in the financial services industry and is known for his strict fiduciary standard and attention to detail to his clients and team members. Scott launched Ascension Wealth Advisors, LLC (AWA) in 2010 as an independent, fee-only wealth management firm serving a select group of individuals and family clients, retirement plans and institutional clients. Scott’s primary focus at Ascension is to serve as an investment advisor and wealth manager by delivering “best-in-class expert financial advice”.